THE Sultan Center (TSC) will be importing into Oman more than 2,000 organic food products from western countries, the company said. 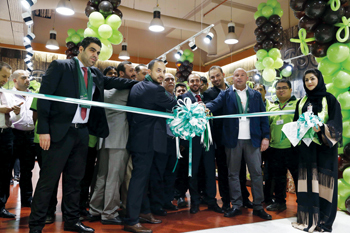 The chain recently opened TSC Naturals, an organic food section at its Qurum store in Muscat city. It will be stocked by products imported from the US, UK, Italy and Australia, TSC said. Speaking of the Qurum store, group International and non-food commercial director, said: “This new store comes to delight our health conscious clients with their favourite products. Our extensive range covers every category of products that our customers need and demand such as beauty care products, groceries, beverages, toys, bed linen and cookware. “By establishing a dedicated section to organic food, the company aims to give Oman the best in terms of quality produce that is fresh and organically produced. The Sultan Center Food Products Co KSC is a regional conglomerate in retail, restaurants, distribution, real estate, telecom, and security services with revenues of over $1 billion. TSC is Kuwait’s largest independent retailer and supplier of grocery items, fresh food, and general merchandise, with operations across the Gulf and Middle East region. According to the company, each week more than 600,000 customers visit its 63 stores and 26 restaurants in Kuwait, Bahrain, Oman, Jordan and Lebanon.